Students from the School and University of Tokyo gave talks in the morning with posters from all students presented in the afternoon. 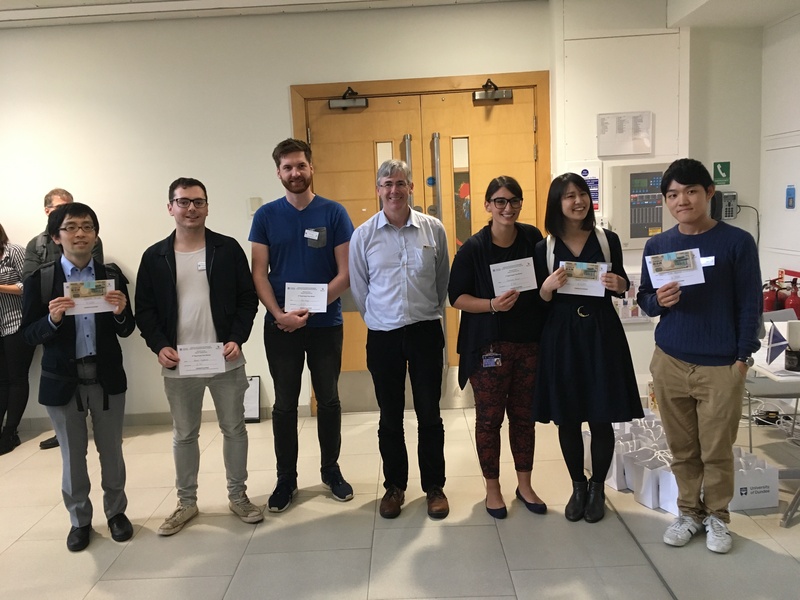 A Piper introduced the announcement of the winners of the poster competition that were presented by Professor Julian Blow, Dean, Life Sciences. An early evening social followed that included a tour of core facilities within the School. Kiyomichi Shinoda, Daniel Leybourne, Sven Lange, Prof. Julian Blow, Francesca Carrieri, Honoka Suzuki, Hiroto Kojima.